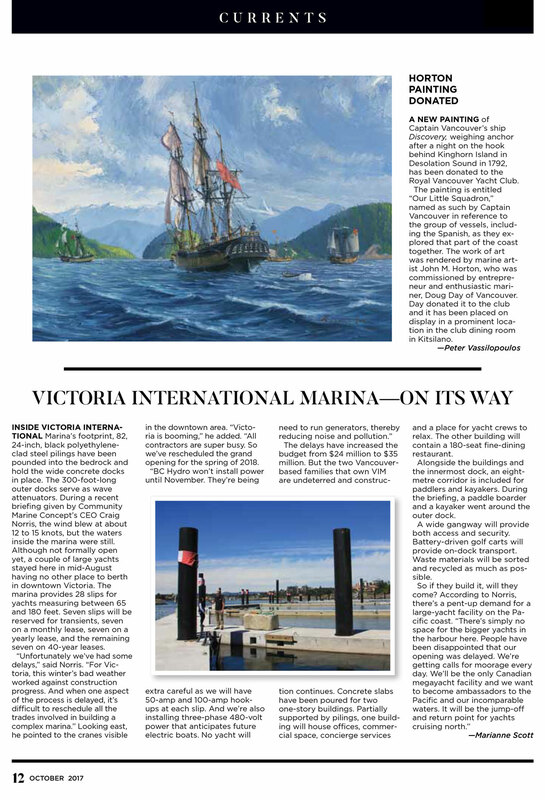 Special thank you to Marianne Scott for attending our recent Media Tour on the marina docks in July and for reporting back to Pacific Yachting. 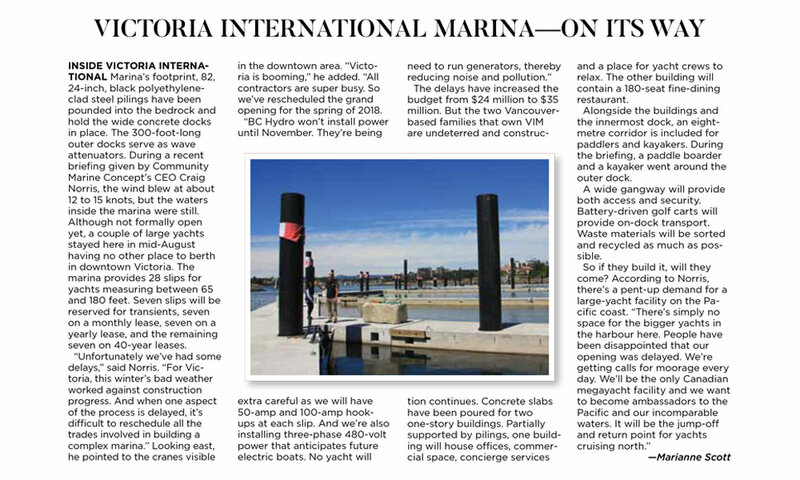 We are excited to see the marina take shape, and have begun planning for the grand opening rescheduled for May 2018 to coincide with the Megles24 World Championship race for which the Victoria International Marina are the Platinum sponsors. Published in Pacific Yachting September 2018.